On various occasions at my new company, I have been asked to use less comments. This is a funny problem to have; it wasn't that I was abusing comments, it was that the code was in Python and self-descriptive enough. and magically transformed into this. At the time, I was a solo freelancer and not reading any blogs so it definitely was magic. I never questioned this transition or why I don't write more/less comments. It always has "just felt right". For a while I have been making an attempt to learn about design and user experience. One concept that has jumped out at me is vertical rhythm. In fact, it caused me to refactor my CSS to use Twitter Bootstrap so I could get vertical rhythm on twolfson.com. In short, vertical rhythm is a way of structuring headings and paragraphs with vertical spacing such that they flow in an easy and predictable manner. A good analogy would be to the repetitive nature of music. With this notion in mind, it would make sense for code blocks to be similarly formatted with comments in a consistent location. 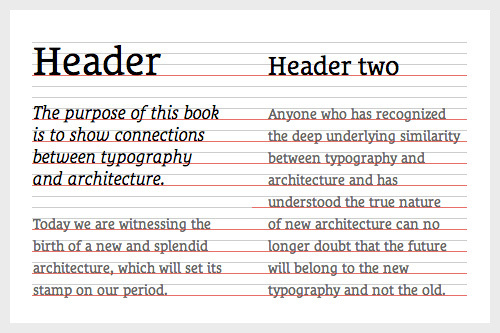 Therefore, increasing readability even though it is more text.